Cologne - A wonder-goal, a blank drawn by FC Bayern München, unexpected league leaders and a novelty for Borussia Dortmund all feature in our statistical round-up of Matchday 4 in the Bundesliga. bundesliga.com brings you all the most important numbers from the weekend's action. 13 - There have been only 13 home victories so far this season. At the same stage of last season, there had been 22. 16 - The points this year have been particularly well spread with 16 draws already this term. There have not been as many draws after four Matchdays in the history of the Bundesliga. 40 - 1. FC Köln and Borussia Mönchengladbach also played out a very rare goalless draw on Matchday 4. 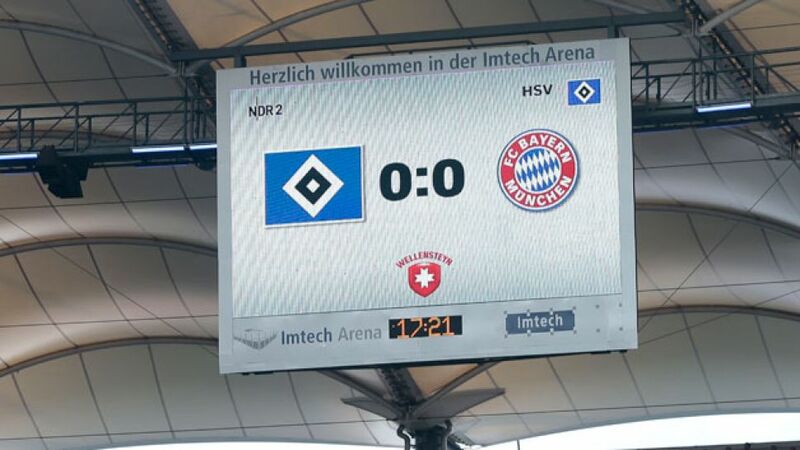 Indeed, their previous 40 Rhineland derby matches had seen at least one goal scored. 18 - For the 18th game in a row, VfL Wolfsburg failed to keep a clean sheet, setting a new club record in the process. 0 - For only the sixth time in the history of the Bundesliga, a team was left without a single goal after four Matchdays – Hamburger SV. 10 - FC Augsburg will wish they could play SV Werder Bremen every weekend after avoiding defeat for the fourth time in as many home games against them. They have picked up 10 points from their four meetings, the fruits of three wins and a draw. 6 - FC Schalke 04 are still waiting for their first win after six competitive games already this season. That last happened to the Royal Blues 47 years ago, in the 1967/68 season. 5 - VfL Wolfsburg have won every single one of their last five home games against Bayer 04 Leverkusen. 75 - Hertha Berlin's Ronny netted the 75th goal of the current season to make it 2-2 for his side against SC Freiburg on Friday night. It was the first time the Brazilian had netted a brace in the Bundesliga. 6 Eric Maxim Choupo-Moting has a perfect record from the penalty spot, scoring six out of six in the Bundesliga. 12 - Josip Drmic scored his 12th goal in the 2014 calendar year with no other player in the Bundesliga scoring as many since January. 200 - Davie Selke became the 200th player to score a Bundesliga goal for SV Werder Bremen. 100 - Armin Veh 'celebrated' his 100th game in charge of VfB Stuttgart, although given the defeat to TSG 1899 Hoffenheim, it was not a necessarily nice anniversary. 5 - There was only one red card on the first three Matchdays, but on Matchday 4 there were five. 14 - With only three points out of the first four games, Werder Bremen have made their worst start to a season in 14 years. At Augsburg, they were beaten for the first time this season. 1 - VfB Stuttgart are propping up the table with only one point after four matches. Only once before - in 1999/2000 - have the Swabians started a season so badly.